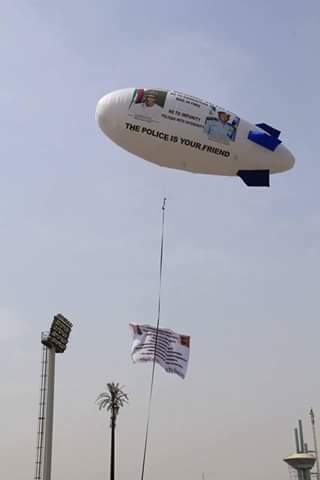 The Public Complaint Rapid Response Unit - (PCRRU),of Nigeria Police Force use Helium Blimp to advertise #changebeginswithme programme. 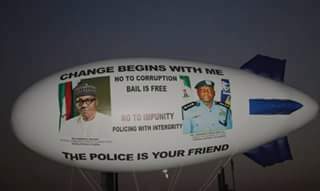 The campaign is #bailisfree, #Policeyourfriend and changebeginswithme. 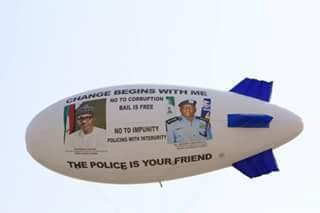 The helium shows picture of president Muhammad Buhari and Inspector General of police. Ibrahim Idris.